MANILA, Philippines — Responding to the recent remarks of presidential spokesperson Salvador Panelo that a documentary on the situation of fishermen in the West Philippine Sea was old, the filmmaker behind the video showed proof that it was recently shot. Filmmaker Kip Oebanda said Panelo's statement that it was not true that the Chinese continue to harass Filipino fishermen in the West Philippine Sea was a lie. "I am the filmmaker behind the video. Here is a behind-the-scenes footage of our shoot dated Feb. 16, 8:15 AM. It is one month and one week old. We were a volunteer team and barely had any budget," Oebanda said in a Facebook post. 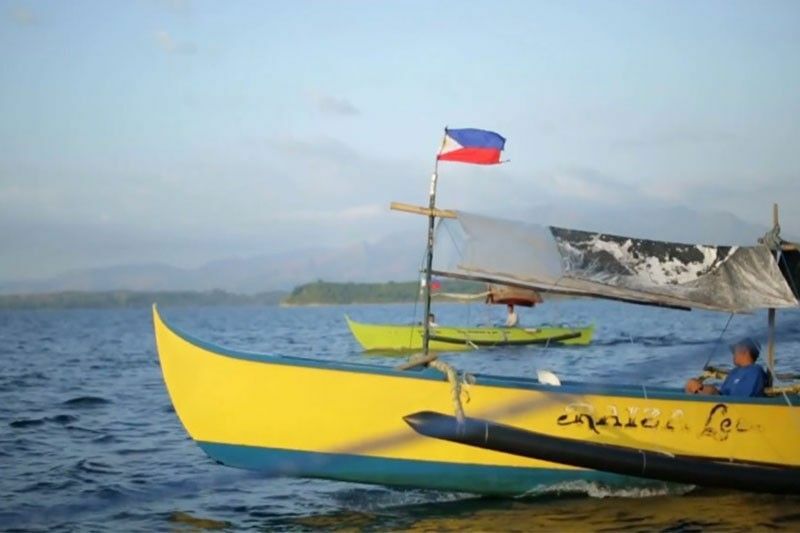 The camp of opposition senatorial bet Neri Colmenares earlier released a six-minute documentary video where fishermen from Masinloc, Zambales narrated how Chinese Coast Guard personnel have been driving them away from Scarborough or Panatag Shoal. Panelo said the government would certainly protest China's actions but the burden of proof would have to be on those who were claiming that the Chinese are still harassing Filipino fishermen. "They have to show proof that is being done now again because if it's being done, certainly we will protest. We will not allow our countrymen to be subjected to that kind of harassment," Panelo said on Monday. Oebanda, on the other hand, said he and his team went to Zambales to record their findings on the situation of local fishermen. "How about instead of lying to the people about the video, go there yourself and actually talk to the fishermen? How about address their concerns instead," Oebanda said. The video was intended to show the truth that Filipino fishermen are starving and was not meant to be a "smear campaign" against the Duterte government, the filmmaker added. There was no need for the administration to be defensive on the matter, the post read. As Panelo insists that there have been no reported incidents of harassment by the Chinese coast guard against fishermen, the Malacañang mouthpiece also conceded that Beijing controls the contested waters. "May magagawa ba tayo eh sila ang may control as of now. 'Di ba meron silang puwersa doon," Panelo said in the same press briefing. The report of Chinese harassment in Scarborough Shoal comes weeks after the mayor of Kalayaan, Palawan admitted that the presence of Chinese vessels in the area have been affecting fishing activities of local fishermen. Kalayaan Mayor Roberto del Mundo earlier said the Chinese have been driving away Filipino fishermen from sandbars near Pag-asa Island, one of the largest features in the Spratly Islands. Malacañang's response to this report was that it would still have to be validated first. The Palawan-based Armed Forces of the Philippines Western Command later on insisted that they have not received any report or complaint from fishermen that they are being harassed.